Last week I attended a make up masterclass at Superdrug in Manchester with the super talented celebrity make up artist and B. Make Up Ambassador Cassie Lomas. I was honoured to be invited along to see such a successful professional in the action who has worked with stars such as Mel C, Holly Willoughby, Iggy Azalea and even Lady Gaga! 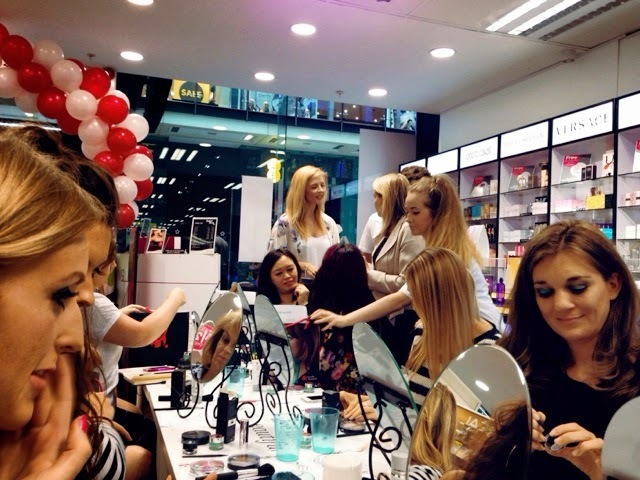 It was a very informal and relaxed evening where we were introduced to Superdrug's new exclusive B. Make Up range and could see Cassie create a 'summer brights' look from start to finish. We were each given the products used by Cassie to re-create the look on ourselves as we went along. I'd already applied all my make up beforehand so I decided to concentrate on watching Cassie at work and make some important mental notes of tips and tricks to implement in my own daily routine. B. is a relatively new skincare and make up range which is exclusive to selected Superdrug stores and it offers premium beauty at an affordable price. B. products are not tested on animals and carry the symbol of Cruelty Free International. The whole range is paraben free (see my post here on why I think this is important! ), has been dermatologically tested and is suitable for vegans and vegetarians. Cassie showed us step-by-step how to apply each product correctly and shared lots of really useful tips along the way. The part I was looking forward to the most was contouring and highlighting as this is huge at the moment and I really wanted to see how the experts do it properly. 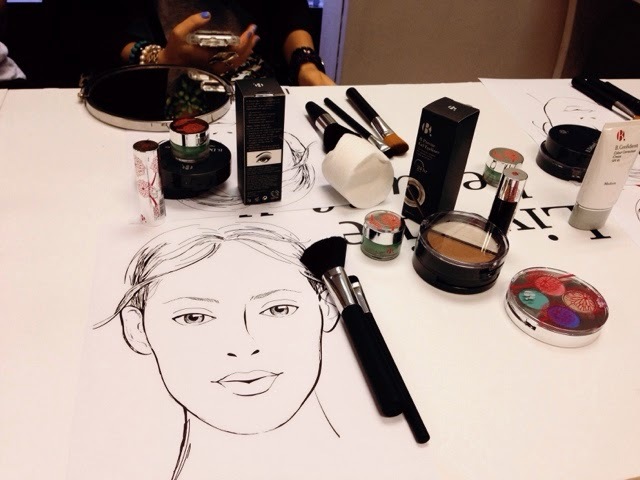 The key is to apply the contour in the right place otherwise you can alter your face shape for the worse, not better! It should be applied half way between your jawline and the outer corner of your eye and should come out no further than your eye. Your highlighter is then applied directly above that, on your cheekbones, to catch the light and make them stand out more. The class was really good fun and very informative and I will be putting Cassie's tips into practice from now on. I was also really impressed with the B. make up products that were used and I'll be looking out for this brand next time I'm in Superdrug. 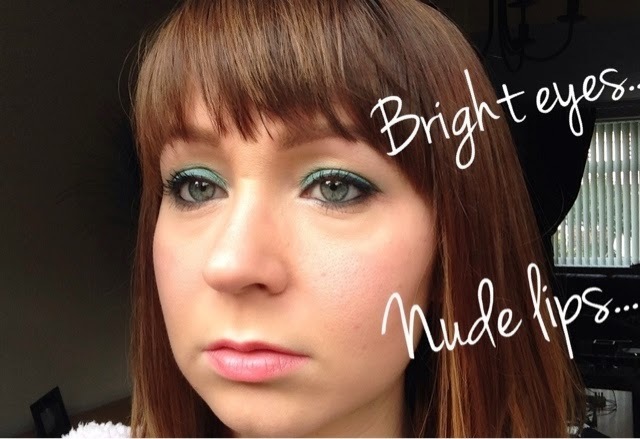 The Eye Shimmer in 'Tropic' is a stunning colour and it really suited the model and all the other bloggers who attended. 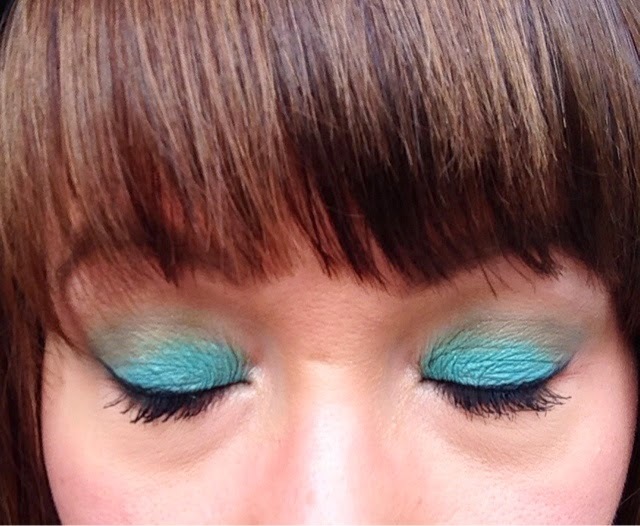 Here's my finished 'summer brights' look which I created with the B. make up products we were given to take home. I applied them with Cassie's tips and advice in mind and I'm really pleased with the finished look. What do you think? Have you used any products from the B. range before?